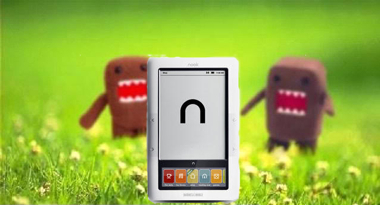 E-book readers haven’t been around all that long, but already they’re heading toward obsolescence, pushed aside by the burgeoning demand for their multi-use successor: The tablet. In 2011, worldwide e-book reader sales hit 23.2 million, says IHS iSuppli. This year, it says, they’ve fallen 36 percent to 14.9 million units. Next year, sales will fall an additional 27 percent to 10.9 million. 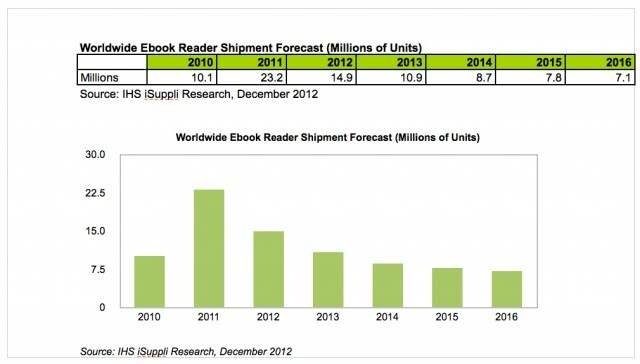 And by 2016, just 7.1 million e-book readers will be purchased. Not a surprise, really. With each successive generation, tablets are becoming thinner, lighter and more powerful. Their prices are dropping and, more importantly, consumers are beginning to see them as a better value proposition than the single-use e-reader.